ZTE shows off the Grand X LTE (T82), a new Snapdragon S4 based phone with Google's Android 4.0 operating system. 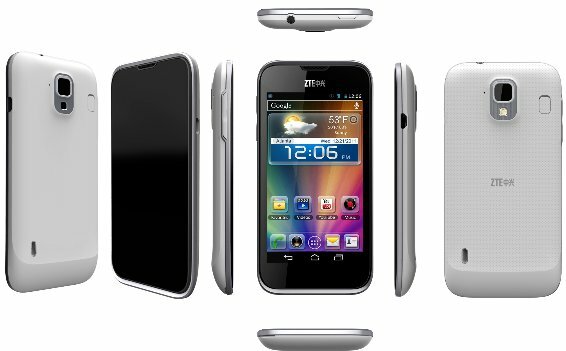 The phone is anticipated to hit the retail channel in Q3 2012, pricing is unknown. ZTE Corporation (“ZTE”) (H share stock code: 0763.HK / A share stock code: 000063.SZ), a leading global provider of telecommunications equipment and network solutions, announced the launch of the company’s first single-chip LTE smartphone, the Grand X LTE (T82), at CommunicAsia2012. The Grand X LTE (T82) will be available in Asia Pacific and Europe in third quarter 2012. The Grand X LTE (T82) phone uses the latest MSM8960 chip from Qualcomm, which is based on advanced 0.28nm technology. When compared to most phone models available in the marketplace, the single-chip model is faster and more energy efficient. The Grand X LTE (T82) is WiFi capable and uses Android 4.0. It has a 1.5 GHz dual-core CPU, an 8 mega-pixel main camera that supports 1080p HD video shooting and playback and a front camera that supports 720p HD video calls. The phone has a maximum download rate of 100M, and a 1900mAh large-capacity battery. The Grand X LTE (T82) also has a unique buttonless design resembling a mini tablet PC. In addition to the Grand X LTE (T82), ZTE is also displaying other LTE products at CommunicAsia. These include the V96A LTE tablet; the world’s first TD-LTE/EDGE multi-band UFi product, the MF91; and the MF821 LTE wireless network card. The V96A will be available in Europe and Asia Pacific in third quarter 2012. ZTE began investing heavily in LTE devices in 2008. The company now holds 7 per cent of all global LTE patents among vendors. In addition, ZTE recently won the Best LTE Device Award at the LTE World Summit 2012, the highest industry honor in that field. All ZTE LTE terminal products displayed at CommunicAsia2012 will also appear at the Mobile Asia Expo 2012 on June 20-22 in Shanghai.